The instruments used in salsa music vary depending upon the specific genre and the geographic influence, but the basic salsa setup demands a brass section, piano and a rhythm section. From these elements musicians create a singular sound representing a fusion of African and Spanish traditions. The key to salsa instrumentation is the beat, so percussion instruments are diverse and often numerous. A salsa orchestra typically features the same instruments as in a jazz band: baritone, tenor and alto saxophones; a trumpet section; a trombone section; piano; an electric or upright bass; and the percussion section, which may feature conga drums, bongos, claves, cowbells, cascaras, cymbals and timbales. Salsa has lit up the globe. It was always popular in areas populated by Latino Caribbean people, such as New York City and Miami. However, Latin America has embraced salsa and made it its own. Places such as Venezuela, Peru, Panama, Chile, Mexico and Colombia have adapted salsa, sometimes adding extra percussion and speeding up the core rhythm, and other times varying the beat to give space for vocals and soloists. Even Japan boasts several highly-regarded salsa ensembles. One sees the strongest elements of salsa music's African influence in the types of drums musicians play. The conga provides the driving rhythm of the music and comes in four different sizes: tumba, conga, quinto and requinto. The bongo highlights specific elements of the rhythm. The timbales, which are a derivation of the timpani, consists of a high-sounding series of instruments, including the chachacha bell, the salsa bell, the wood block and the cymbals. Other elements of the rhythm are created with shells (called casacara) and hand percussion instruments such as maracas, guiro, shaker, clave and chekere. Salsa is an umbrella term for various Latin Caribbean and Cuban musical forms. Cuba's early prototype of salsa music is son, which incorporates a call-and-response structure between the vocalist and chorus. The contradanza form betrays French and Spanish roots. Habanera is Havana-inspired song and dance. Danzon marks a shift to African influence, and features heavy reliance on congas. Mambo, a term which refers to a Haitian voudou priestess, marks a bridge between salsa and jazz-style big bands. To see how salsa musicians coordinate their brass sections with the rhythm-happy percussion section, it is best to visit the place that inspired the original forms. 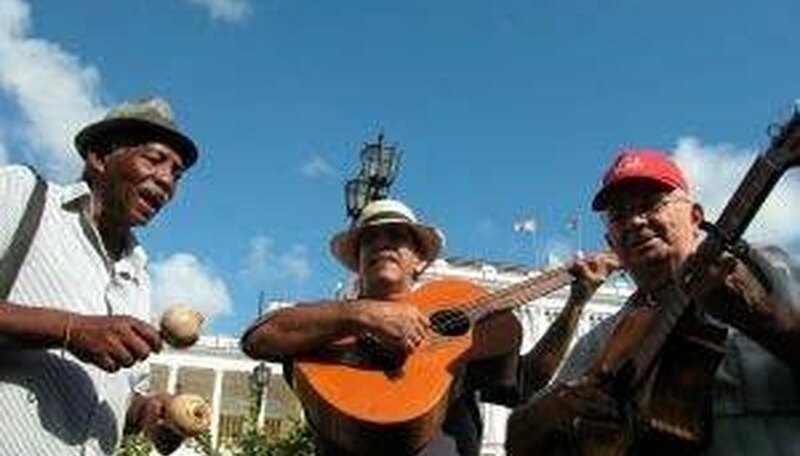 Havana, Cuba has a plethora of happening spots, from the clubby Cafe Cantante Mi Habana and the big time Casa de la Musica de Centro Habana to the after-hours spot Salon Piano Bar Delirio Habanero and the open-air Salon El Chevere.